Presentation of the project on the annual show The Best in Heritage, Dubrovnik, September 2010. 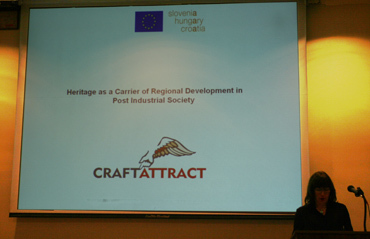 Lecture Intangible Heritage CRAFTATTRACT - CASE STUDY at the International meeting Intangible Heritage of South East Europe, Ministry of Culture, Zagreb, April 2009. Goranka Horjan and Aleš Gačnik were guest lecturers at the Spring School of Museology, where they also presented the Craftattract project, Piran, Slovenia, May 2009. Cooperation programme with the Russian Federation: Promotion of the CRAFTATTRACT project at the meeting Traditional and artistic crafts in the context of neighbourhood, Orenburg, July 2009. Presentation at the workshop Archives, Museums and Libraries, Rovinj, November 2009. Presentation at the EU workshop organized by European Commission about the projects financed from structural funds, Bruxelles, November 2009. Presentation at the European conference about cultural tourism organized by the European Organization for Strategic Planning, Athens, Greece, 28th – 30th March 2008. Presentation at the International Congress of European Museum Advisers, Graz, Austria 27th – 31st May 2008. 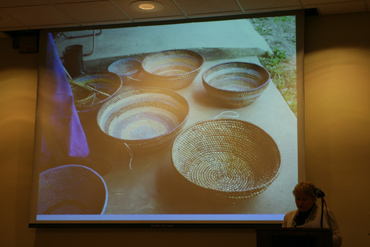 Presentation of the CRAFTATTRACT project at the Annual Conference of Regional Museums in Pittsburgh, Johnstown (USA), 18th – 26th October 2008 together with Slovenian partners.